Over 425 college fair events, high school visits, transfer events, application workshops, and parent’s nights have been attended by a TUG Admission representative since mid-August. This meant a lot of fleet and rental cars, gas stations, hotel rooms, podcasts, and Starbucks stops! We have seen approximately 1847 people on campus this fall (Sept 1-Dec 1). We have hosted over 30 group visits from high schools, middle schools, community colleges, and high school counselors. Total we have presented and given tours to close to 1600 group visitors from Sept 1-Dec 1. (This does not include donor, alumni, orientation, or professional courtesy tours). We have had 97 individual/personal campus visits by prospective students. Lastly, we have had close to 150 people at our Preview Day and Encounter events (not including parents)! 1/3 of those in the last 2 weeks. Which puts us slightly ahead of last fall on applications as of Dec. 1! 6,387 data entry leads have been processed for SENIORS only between Sept 10-Dec 1. Add in another 3475 Juniors and 1514 Sophomores. Totaling 29,853 (Seniors) – That’s up 5,092 from this time last year. Close to 72,000 pieces of mail have been sent including viewbooks, campus visit invites, application instructions, financial aid affordability information, and deadline reminders. Over 100,000 emails have been sent inviting people to apply, file their fafsa, visit campus, apply for Paragon, and many more. Approximately 41,000+ phone calls have been made by our counselors, events team members, and student calling staff. We are blessed to be able to serve FPU in this capacity and are excited about all the possibilities the new year will bring. Thank you for joining us through this journey! 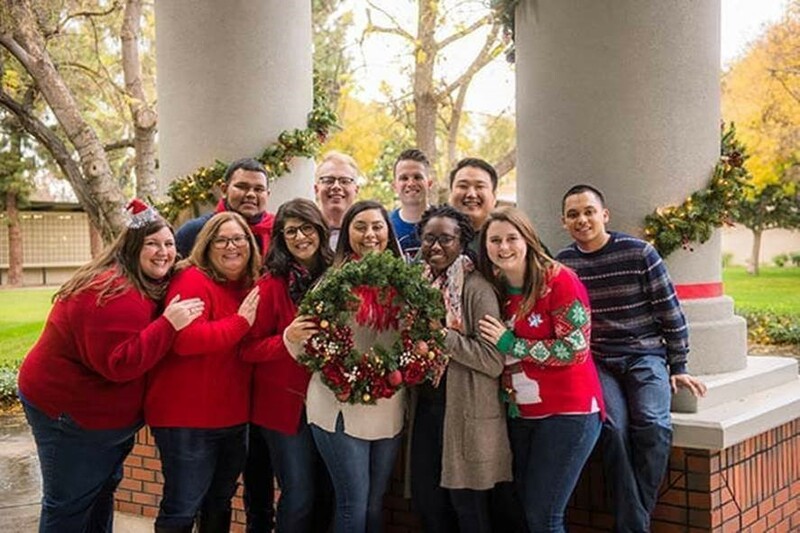 Merry Christmas from the TUG Admission Staff!